Well, you may recall our news regarding the new CEO of Rolex. Though Jean-Frederic Dufour is a young and innovative director, that does not mean that there will be drastic changes with the brand's strategy. Rolex is known for being loyal to it's collections and barely releasing new models. The novelties are mostly limited to upgraded and improved versions of the classic product groups. Regarding Baselworld 2015, almost the same pattern is followed. 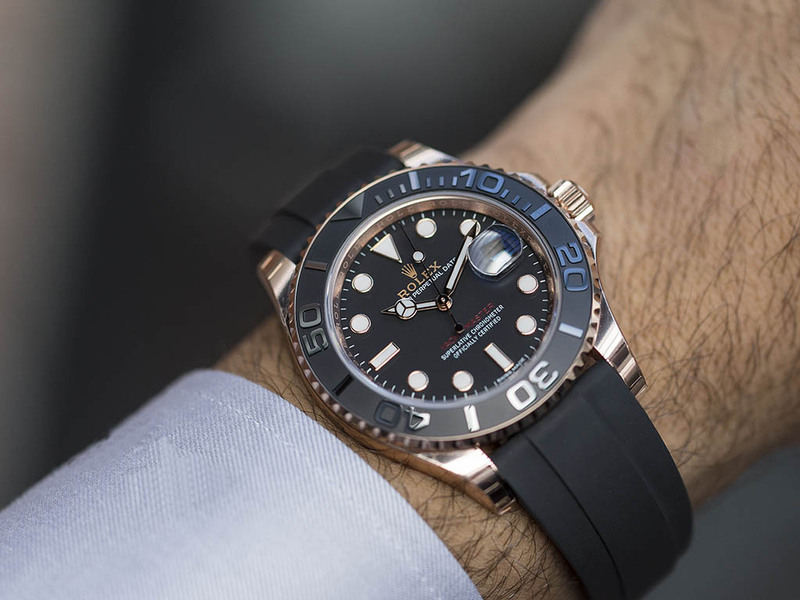 I say “almost” because the new Yacht-Master 116655 comes on a rubber strap. In fact, the Rolex YachtMaster was one of the few models of Rolex that wasn’t renovated. 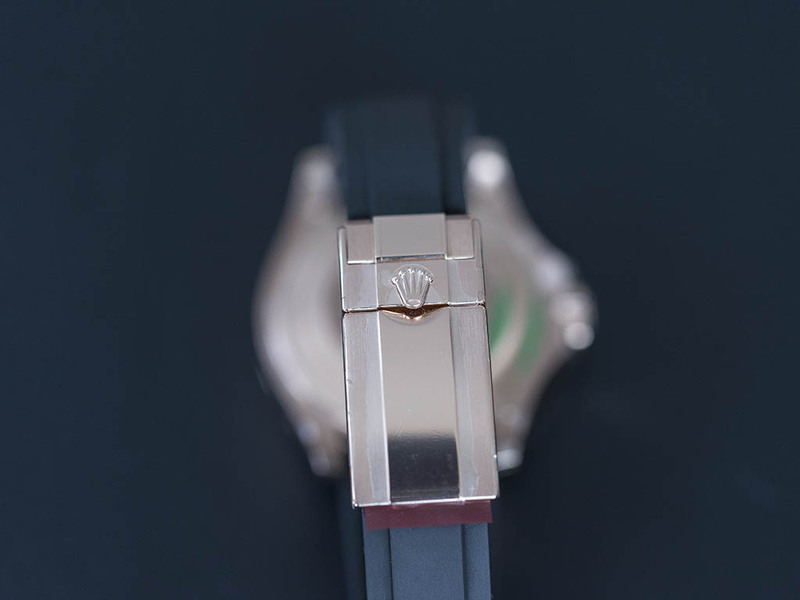 The rest of the collection like Submariner, Explorer II, Milgauss and SeaDweller had gone through some updates major or minor. All those models stay loyal to the same base designs and do not sport fully renewal of the present models. While the same pattern seems to be going for the YM as well, the rubber strap feature is definitely a major upgrade. To start with the upgrades, the first thing that faced an upgrade on YM 116655 is the 40mm case that now is being offered in 18K Everose gold. Previously available only in stainless steel (with a platinum bezel) with both a silver or a blue dial, the YM now features a 18K gold case. While the diameter remains the same, the design of the case is also improved with more curved lugs for better wearing comfort. Water resistance rating is still at 100m. The look of the watch is also updated with new colors and materials. Bearing almost the same design with the previous one, the bezel now comes in black Cerachrom which is a type of ceramic patented to Rolex. The numbers and graduations are polished on the top while the background remains matt for better visibility through contrast. The dial is designed in matching black color with gold applied indexes filled with Chromalight. The rest of the details such as the crystal (still with no antireflective coating), the cyclops and the Mercedes style hands remain the same as with the stainless steel version. The same goes for the caliber as well as YM 116655 features the classic calibre 3135. The biggest surprise of the watch comes in the strap. 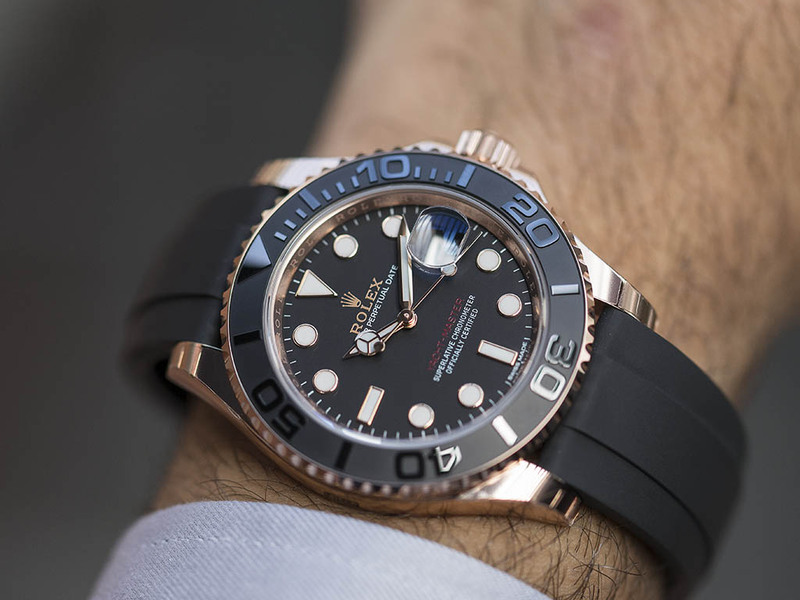 For the first time, Rolex offers a rubber strap. 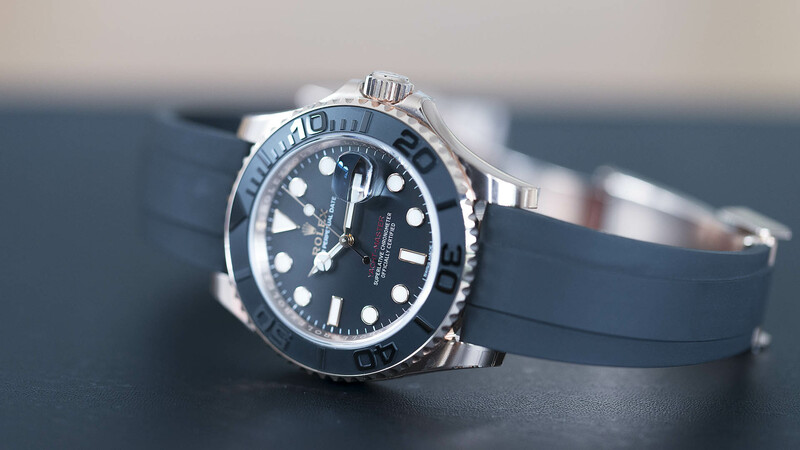 Throwing in a rubber strap may seem quite random for most of the brands however, for Rolex this is a major move. 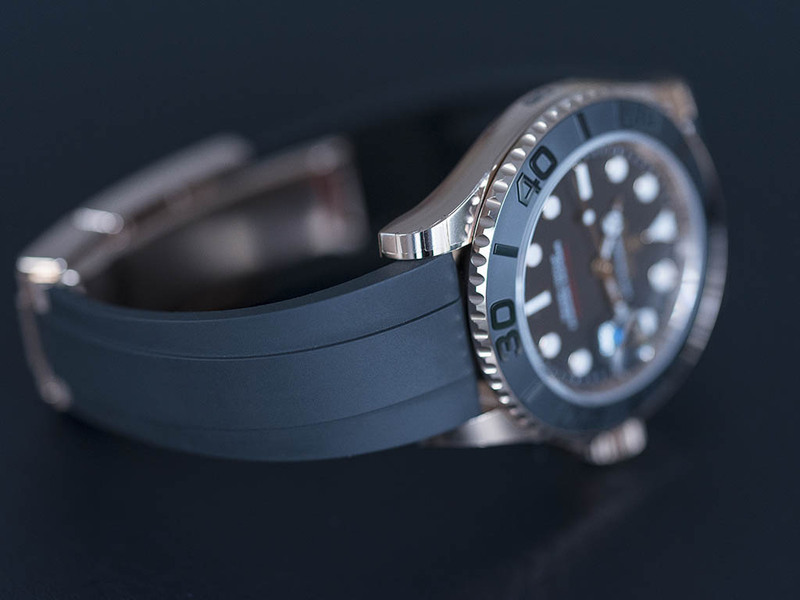 Rolex calls this strap “Oysterflex” which is made of a soft, flexible rubber. 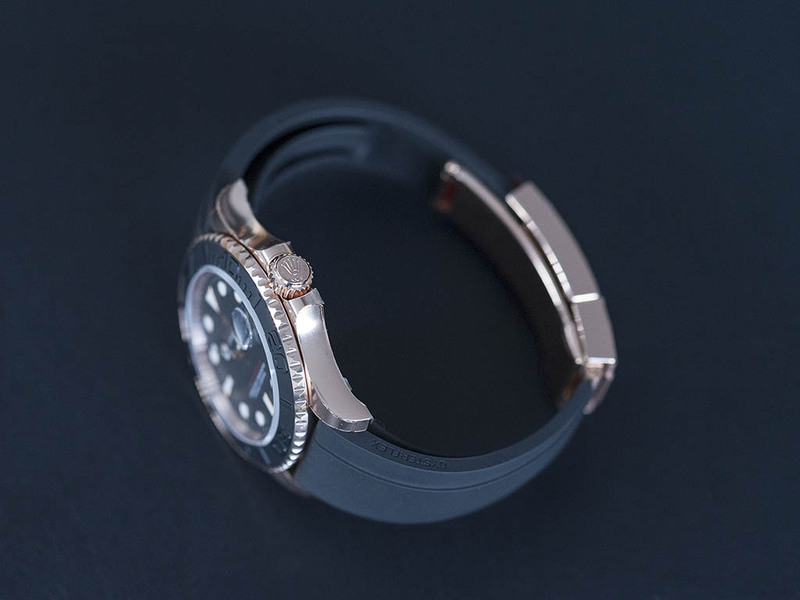 The strap feels extremely comfortable on the wrist thanks to it's inner longitudinal cushion system that practically stabilizes the watch to the wrist without bothering the user. Oysterflex strap is fitted on an 18K Everose gold Oysterlock clasp. 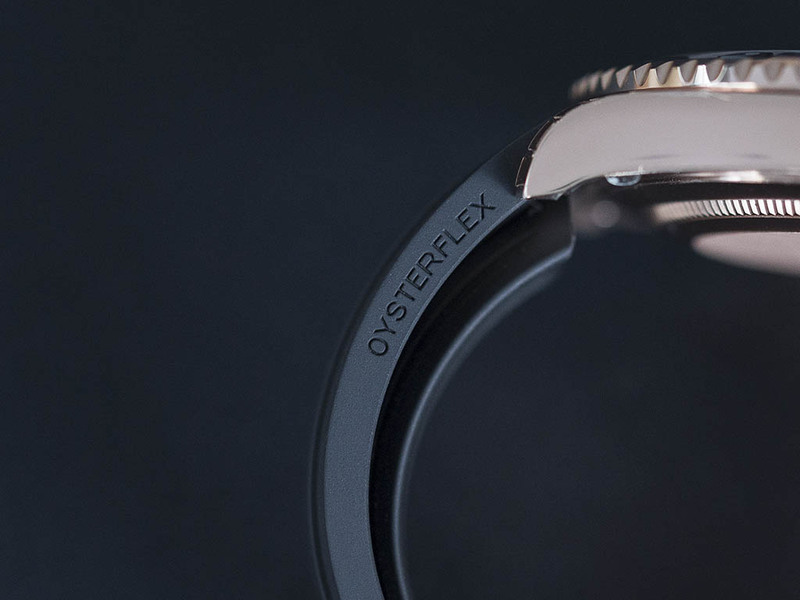 I know the name sound familiar but do not think that the Oysterflex is an interchangeable strap between different Rolex models. This strap is exclusive to this new YM. I like the watch. I am a big fan of sport watches with gold cases/accents and rubber straps. I am not one of those so called purists that radically believe that sport watches must be made of stainless steel only. Rolex is arguably the best brand in combining luxury with versatility and YM 116655 is a solid proof in this regard. 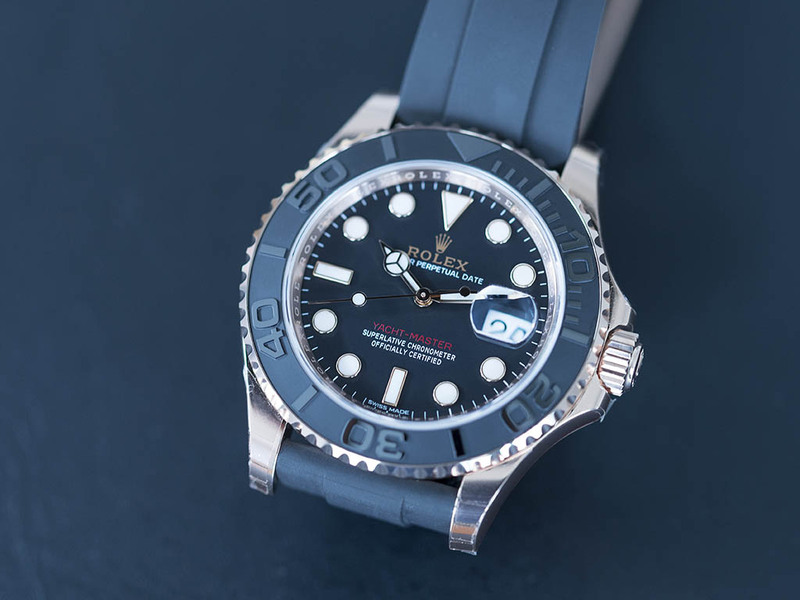 In the meantime, I am very happy to see Rolex doing something for YM as the YMII was never a favorite model to me due to it's way to complicated looks to be frank. I suggest YM 116655 to the watch enthusiasts like precious metal sport watches but especially to the ones who hesitate to wear a full ( case and bracelet ) solid gold watch in their daily routine.